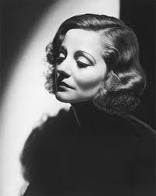 Tallulah Bankhead, after watching Leonard Bernstein conduct the orchestra at Tanglewood , sent him a note, saying, "Darling, I have gone mad over your back muscles. You must come and have dinner with me." The rest is lost in the mists of gossip. In another vein, I would like to send a note to novice gardeners that while back muscles are required for gardening, they don't have to be a body-builders'. Supple, even creaky, is enough. What counts is smarts. Geeks and nerds make excellent gardeners. First of all, to dispel a well-known fact: gardening is not an uphill battle in Flagstaff. Veteran gardeners, like battle field veterans, relish frightening recruits with tales of gardening terrors, and, one suspects that their tales improve with the telling. 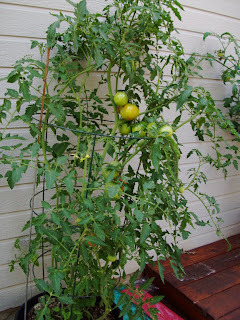 Gardening in Flagstaff is not difficult if gardeners use their smarts, especially with tomatoes. The first smarts is varieties that mature early, and if one is given to starting with seeds, the middle of March is the time to begin. Seeds offer a great variety, such the early maturing Sasha's Altai, Galina, Early Girl, Stupice, Prairie Fire, and Big Boy. Starting with seeds is simple. Commercial nurseries have planting packs for starting with seeds. A sunny window sill serves very well as a green house. After the plants have developed a second set a leaves, transplant them to a pint container, using potting soil, so that they'll grow larger. When they've reached about foot or more, it's time to transplant them outside. The second smarts is soil. Control-freaks can shine manipulating soils. No one in their right mind ever just sticks a plant in unprepared soil. I've heard tales of that happening in Wisconsin, but I doubt them. I've been to Wisconsin, and I saw lots of cows, pine trees, football crazies, cheese heads, and fisherman but never anyone sticking plants in unprepared soil. Maybe Iowa, but not Wisconsin. Smart soil should be friable, loose and flowing through the fingers, so that the roots can grow. No brainer. A soil desideratum: a nice mixture of volcanic cinders, clay, and organic matter, such as compost and manure. Also, it should have the sweet smell of earth. One of the pleasures of gardening is smelling dirt. 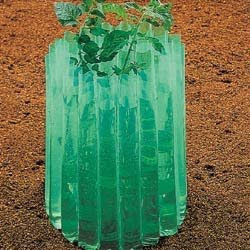 An excellent way to control soil is in containers which is especially true for tomatoes which tend to be soil finicky. A black five gallon container will do. If there is money to burn, fancy containers can be had. The soil can be sterilized by draping the container with a black plastic bag and let the sun do the cooking for a week or so. Also, sterilized soil can be bought if there is even more money to burn. The next smarts is fertilizer. Tomatoes will produce marvelous foliage but no tomatoes with a high nitrogen fertilizer, the kind used for indoor potted trophy plants. 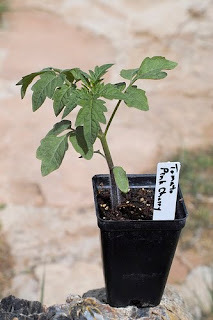 Tomatoes like a somewhat balanced fertilizer high in phosphorus for the production of fruit, but with ample nitrogen and potassium for healthy foliage and plant well-being. Also, they should be fertilized regularly. The third smarts is water. Tomatoes like to get their feet wet while their leaves stay dry. Their leaves crisp when the sun hits them if they're wet, and air borne infections are fond of wet tomatoes. Also, they don't like standing in old foul water. Who does? So far so easy. The problem that creates the whining about gardening in Flagstaff is the weather which I would like to point out is not the tomato's fault. Complaints about the short growing season are predictable because people often shirk their responsibilities and blame the weather. Weather and climate are safe scapegoats although sometimes they strike back. Another no brainer. It's called shelter, like coming in out of the rain and dressing for the cold. To blaspheme Noel Coward, "Only mad dogs and Englishmen take their tomatoes out in the noonday cold." When transplanted outside, the plants can either be bundled up in blankets or surrounded by a nifty device called Walls-o-Water, also available from commercial nurseries which are really portable, mini-greenhouses. There you have it. Smart gardening in Flag.